A twisted Dada-esque exhibition and performance of violin artefacts and improbable instruments, curated by Jon Rose and Kali Michailidis. Experience these improbable instruments in action with performances on the 5th, 6th, 12th & 13th April with musicians Ernie Althof, Robbie Avenaim, Biddy Connor, Jozef Cseres, Judith Hamann, Rainer Linz, Michael McNab, Maria Moles, Chloe Smith, Rachael Kim, Erkki Veltheim, Lizzy Welsh and Brigid Burke. See The Rosenberg Museum activated in a new way and explore the boundaries of the violin musically, aesthetically and functionally. 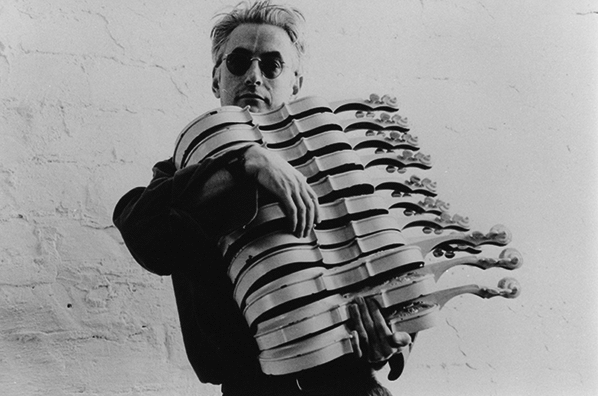 Jon Rose apologises that he will not be in Melbourne for The Violin Generator due to illness. The Violin Generator is a free exhibition accompanied by evening performances.